Before I begin, let's all bow down to the greatest that is Fan Bing Bing. Her style is just IT. Alrighty. Let's begin. Spring time is pretty much around the corner and for us that loves style and fashion that means scoping out to see what will be the hottest trends of this particular season. 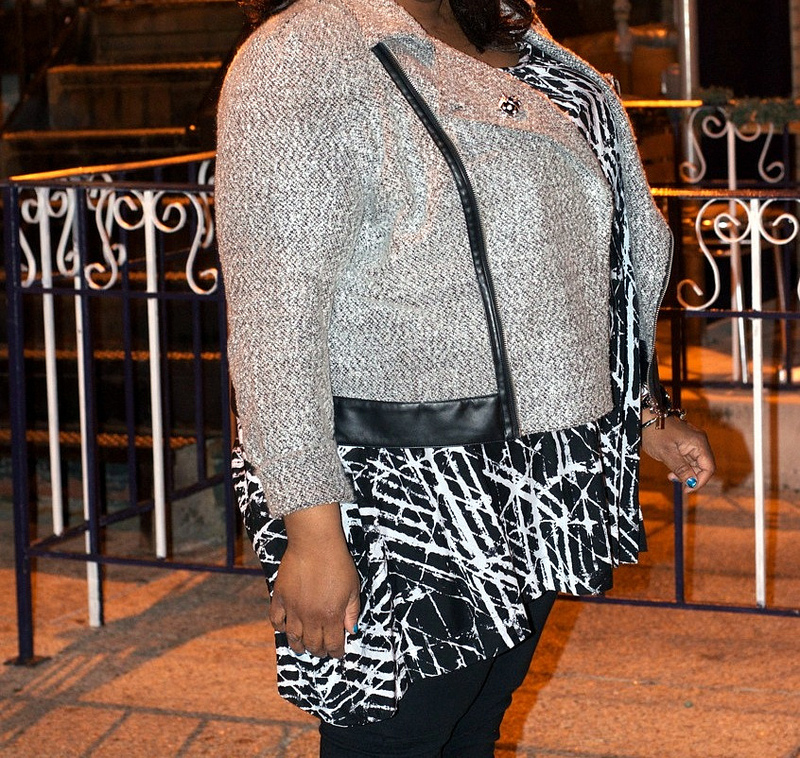 Nel of Girls of Plenty asked a few plus size bloggers to join her in showcasing our interpretation of the latest Spring trends. 4 trends. 4 weeks throughout the month of March. Starting off with, I feel, the most popular trend at the moment...BLACK AND WHITE. 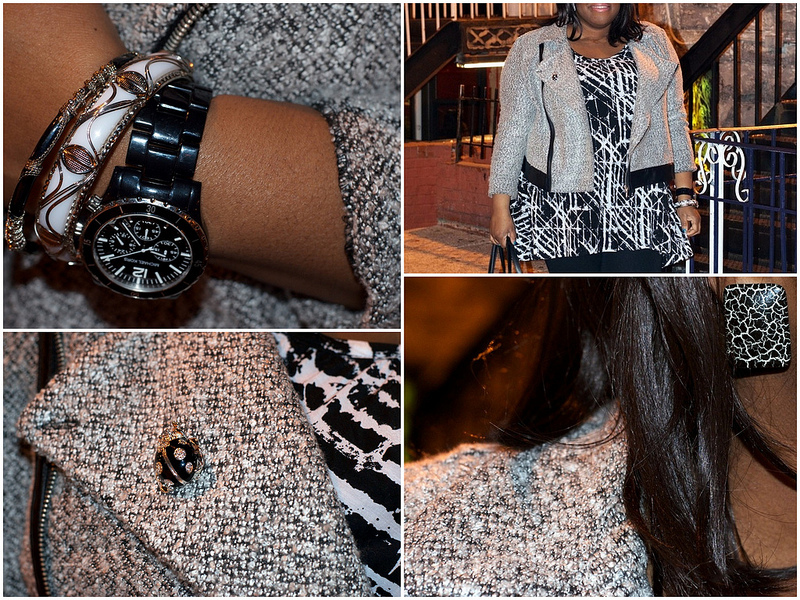 I truly enjoy this trend more when I see it with black+white prints (like the photo above). So the only way I can see myself pulling this off is by doing so with prints. It's funny how you have a certain look in your head and you think you own an item that would complete the look and you realize that, alas, you do not own that item. Case in point: a black+white bag. That would have really set this outfit more on trend then just a plain ol' black bag. Lately, I've seen a lot of folks in black+white shoes. I can definitely get on board for a mixture of black+white shoes. I'm still not too keen on white shoes, though. We shall see. 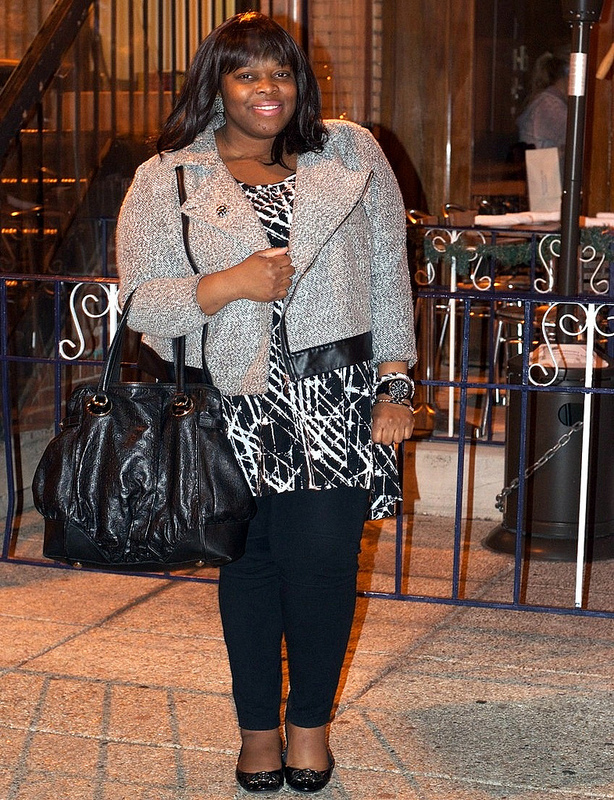 I wore this to catch the launch of Nic+Zoe new collection at Lord & Taylor. The event was hosted by Lori Bergamotto, Style Editor of Lucky Magazine (She's really funny.) and Lacey of A Lacey Perspective. The collection, itself, is nicely done. No, it does not offer plus size but there were some items that I'm pretty sure I could've pulled off. I got a chance to talk with Zoe. She explained that the mastermind behind Nic+Zoe is actually her mom, Dorian Lightbown. The name "Nic+Zoe" comes from her children Nicholas and Zoe. My favorite from the collection is the Color Mix Lace Jacket. Also, I stopped by Violet Boutique to celebrate their 2nd anniversary. Any opportunity for me to go to Violet Boutique, I'm there. Now, I need to head there when there's not an event happening. That way, I can truly enjoy the store and what it has to offer...which is A LOT. Julie, the owner, is a complete sweetheart. She absolutely deserves the best.